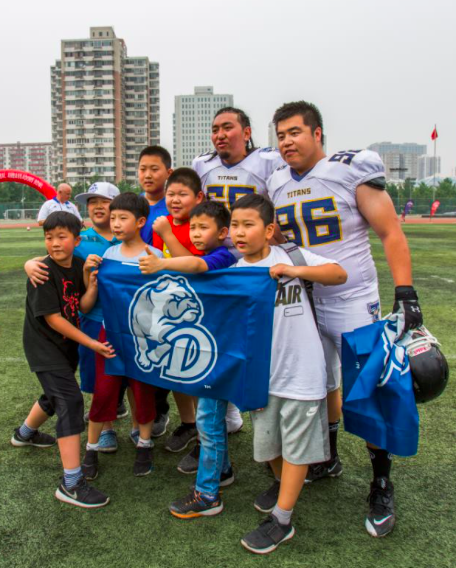 Global Football and Drake University again joined forces in 2018, this time to venture into China for a truly memorable visit that included a community service project, discovering a new culture, a football clinic for local youngsters, and a game against a Chinese all-star team. The alliance between the Iowa-based university and the world’s most prolific producer of international gridiron events made history in 2011 when the first-ever game of college American football was played in Africa, featuring the Bulldogs. The visit to Tanzania included numerous service projects and ended with the group of travelers climbing the iconic Mount Kilimanjaro. 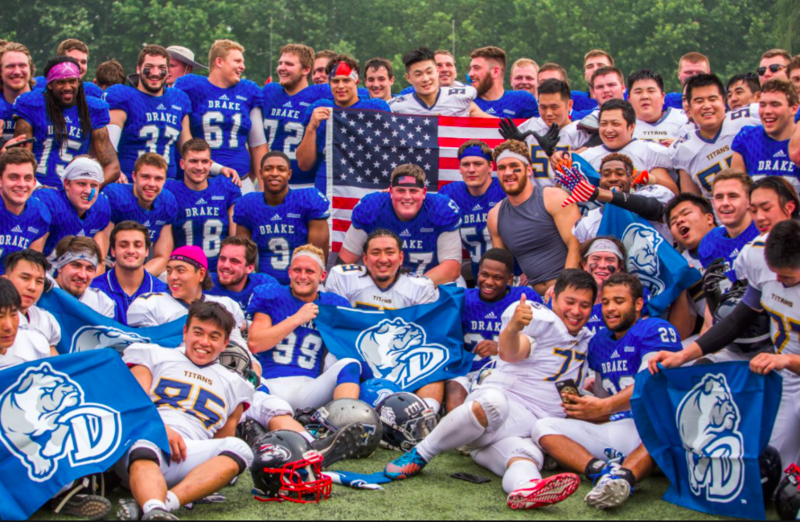 China became the 28th country to host a Global Football event in 2017 when a high school-aged Team Stars & Stripes select squad visited for the Global Ambassadors Bowl in April, followed by the University of Puget Sound traveling to face local opposition in May.